Founded by Vincent Lawrence and his father, Tom, Acadia Images is built on the knowledge of local photographers familiar with the area. Our mission is to provide unique, high quality, informative workshops that will elevate your photography. Vincent was born and raised on Mount Desert Island, the National Park as his back yard. There are few places, on or off the trail, that he has not explored. With strong interests in science and the natural world, Vincent followed in his fathers footsteps and picked up photography too. An avid adventurer and rock climber he learned to capture images that communicated his experiences with others. Vincent is excited to teach others and to help them develop their own photographic style. A Photoshop user since version 5.0, in 1998, Vincent enjoys the process of developing digital images. Post-processing is now recognized to be essential to the digital workflow. For participants in our multi-day courses Vincent will be your Lightroom and Photoshop instructor. Although he grew up in the digital age, Vincent still loves to have a physical print in hand and would love to help you make prints or books out of your images. Travel has occupied Vincent’s recent years, since 2008 he has driven across the U.S. several times in multi-month road-trips, lived in New Zealand for 20 months, visited Thailand twice, and the been to the Philippines many times. Recently he recently returned from a 42-day backpacking trip to Chile. All this time on the move has helped him develop an eye for capturing great images of a destination when the visit is short. Tom has lived on Mt. Desert Island for over 30 years. His interest in photography began at the age of 15, accompanying his biology teacher out in the field to capture images of all manner of flora and fauna. This experience resulted in Tom’s degrees in biology and earth science, and a passion for photography. 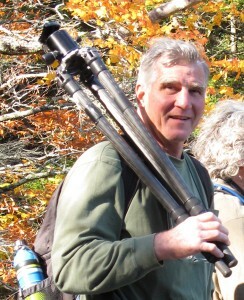 Over the years Tom’s photographic interest have been focused on the many habitats found in Acadia. Tom likes to share his images and interest in the natural world with others. Tom has presented many slide shows for garden clubs, civic groups, and the Appalachian Mountain Club. A foray into the world of video lead to the production of a therapeutic video entitled Serenity, a Balm for the Soul. After two seasons capturing some of the hundreds of wildflower species found in Acadia, Tom published Acadia Wildflowers, a large format book showcasing these flowers. 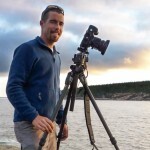 Tom’s humility and passion for photography, coupled with his ability to work with people of all ages, makes Acadia Images Photo Workshops an experience of genuine learning. 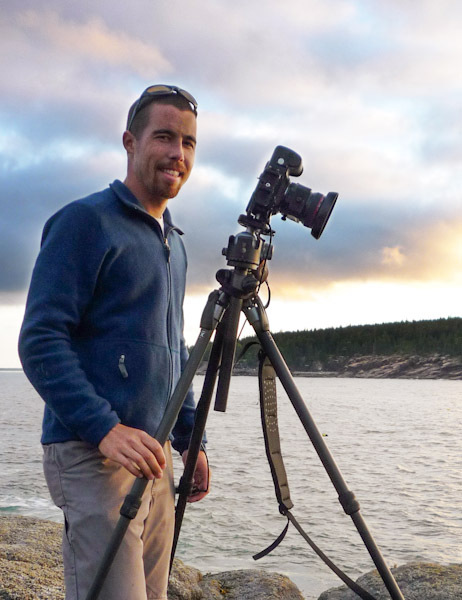 Tom looks forward to helping participants develop and expand their skills, take them off the beaten path, and share his personal photographic knowledge of Acadia’s hidden gems. Stay in touch and up to date with the workshops we are offering, tips for better images, and a few pieces of eye-candy: sign up for our newsletter (one issue a month).